The bonds of the Ruff Ryders collective run deep. For those unaware, the late nineties and early aughts featured a triumphant coalescence of like-minded artists, all united under the Double R banner. 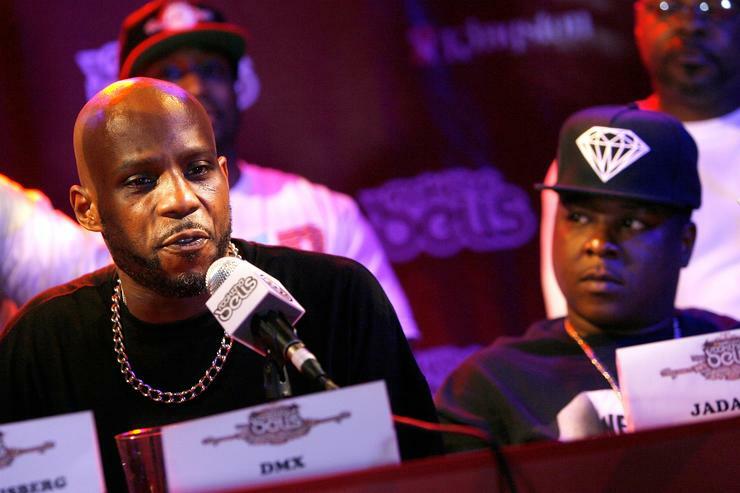 DMX, Jadakiss, Styles P, Sheek Louch, Eve, Drag-On, and more were consistently dropping fire, whether through their respective solo projects or Ryde Or Die collaboration albums. Looking back, it’s easy to forget a time when Jadakiss and DMX were frequent collaborators, bringing more rasp to the table than the average listener might be accustomed to. In any case, Jada has clearly been reminiscing of late, looking back through the vaults and taking a moment to honor an incarcerated friend. “Free my n****a X, man, the dog!” says Jada, blunt in hand, preparing himself for the onslaught to come. As the beat kicks in, die-hard X fans may recognize the unreleased cut “N***az Can’t Touch Me Kid,” which never managed to crack any of X’s studio projects. Still, it clearly caught Jada’s attention, and Kiss seemed more than willing to relive his glory days, backed by the familiar growls of the one and only Dark Man X.